Oh, it happens. Not as severe as with alcohol, definitely. But using a bit too much pot the night before can lead to a pretty good cannabis hangover the next day. For the “cannabis curious” out there looking to experiment in the many states where recreational marijuana is legal, the possibility of a cannabis hangover is a good thing to know about. It’s also good to know it can be prevented or dealt with by using some fairly easy steps. If you’re looking for science on the issue, good luck. Some studies, such as this one, found frequent use can result in a “hangover-type effect.” Other studies were not so conclusive. But anecdotally around the Internet (and in person), many people report experiencing an unmistakable type of marijuana hangover. In many cases, people report that using more-than-usual amounts of marijuana leads to a feeling of lethargy and overall lack of energy. You might not want to get out of bed. And it’s not just because you are dreading going to work. Taken alone, none of them are as terrible as, say, a night after drinking too much poorly tapped beer. But together, it can leave you feeling more “blah” than you’d like. Luckily, there are some easy solutions. Not to sound like your doctor, but the key to everything is making healthy choices. In many cases, it’s not so much the cannabis, but what you do when using it or the morning after. Here are some simple steps to keep in mind that can prevent or at least severely reduce the effects of a hangover. Commit them to memory. Or put them on your mirror. Yes, that old word “discipline.” Now we sound like your doctor if he was also your grandfather. Try to learn when to know that enough is simply enough. Using too much marijuana – just as with alcohol – is the primary reason people experience a hangover. Water is like the magical potion that cures many ills. To avoid getting dehydrated, make sure you’ve got plenty of water around. Keep one handy to drink. And you definitely want water the morning after to combat that horrible case of dry mouth. If you are worn out and tired, nothing sounds better than a quick, easy and greasy meal. Pizza. Burgers. Chips and dip. But this will only drag out the symptoms. Try to eat some fruits and vegetables, instead. Avoid sugars that will give you a quick lift and then cause you to crash back down. If you can manage a bit of exercise – even a brisk walk – that will get the blood flowing and wake your body up. If that seems too overwhelming, then at least get up, take a shower and drink a cup of coffee. That should put you on the path to shaking off the lethargy. One of the many advantages of legal marijuana is that you can go into a dispensary and talk with an expert about the cannabis strain that is best for you. Much like cheap beer leaves you feeling far worse the next day than fine wine, buying bad marijuana can lead to a worse hangover. Take advantage of what legalizing cannabis brings to the table. The bad news is, just like any kind of hangover, there’s no magic cure for a cannabis hangover. The best advice is to follow the tips mentioned above – especially the first one. 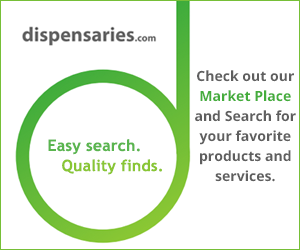 ← Where Can I Buy Cannabis In California?